We found out our daughter has been using pot, amphetamines, and LSD. We confronted her and she left and has cut us out of her life. She protects the drug addict boyfriend. I now understand the wild mood swings now and the complete change in personality. Question, how addictive are these drugs? Is she just emotionally addicted or do these drugs cause physical addiction also? We are each unique so drugs effect each of us differently. I'm so very sorry to hear about your daughter's addiction and poor choices. Research has shown that each of the drugs that you've listed (marijuana, amphetamines and LSD) are physically addictive for some and not addictive for others. Addiction is a disease of the brain and because each of us in unique how a drug will effect us in unique. So, for some people marijuana is an addictive substance and for others it is not. The same is true for each of the other drugs you mentioned. Amphetamines are the most addictive especially if she is using methamphetamine, which is a drug very commonly available on the street. It is also my experience that she is likely taking other drugs that you're unaware of and that she is in very serious trouble. Drug addiction is often a fatal disease so sadly, your daughter is likely in a life and death struggle. To help her through this you need as much information and support as you can get! Try as best you can to stay connected with her but also be aware that she is not the person that she used to be. She and her friends may be capable of ANYTHING to get the drugs that they think they need. I would recommend that you and your family start attending Al-anon meetings ASAP and working the 12 steps. Working the steps will help you to understand your daughter's addiction and will position you to make the best decisions possible as you move through this crisis. 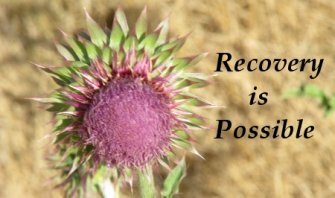 Also, try to get a sponsor in Al-anon who has helped their child to move into recovery from addiction. I would also recommend that you contact a good addiction treatment center in your area and with the support of an interventionist consider planning an intervention for your daughter. The interventionist should hopefully be able to help your daughter to get into treatment. I know this is very grim news but the sooner you take action the better it will be for your daughter. I guess when you are weak anything can happen. I never thought that my daughter would get involved in drugs especially heroin. Well she got mixed up with a guy that she went to school with and he is one big drugest, she has a little girl that turned one. She kind of walked away from her. She and her dad and I try to get her daughter every weekend. Well somebody she knew died of heroin and we went to the funeral. I think that was the best thing it made her open her eyes she went and got help so here I am trying to make her little girl get to see her mom.